A mid-summer evening of arias and excerpts from one of opera’s most famous love stories, Carmen, came life at UBC Okanagan last night as an estimated 800 people attended Opera Under the Stars. Set in UBC Okanagan’s central courtyard, the free open-air public concert was brought to life by world-class performances from Opera Kelowna. Opera Kelowna’s 2018 mainstage summer production is George Bizet’s Carmen,whichruns from August 16 to 19 at the Kelowna Community Theatre. As a teaser for the event, the cast performed several songs from the famous love story at the Opera Under the Stars’ evening of free music and entertainment. This is the fourth year Opera Under the Stars has taken place outdoors at UBC Okanagan’s central courtyard, an ideal setting for a summer evening of music. The university’s Faculty of Creative and Critical Studies is a presenting sponsor of Opera Kelowna’s 2018 season. 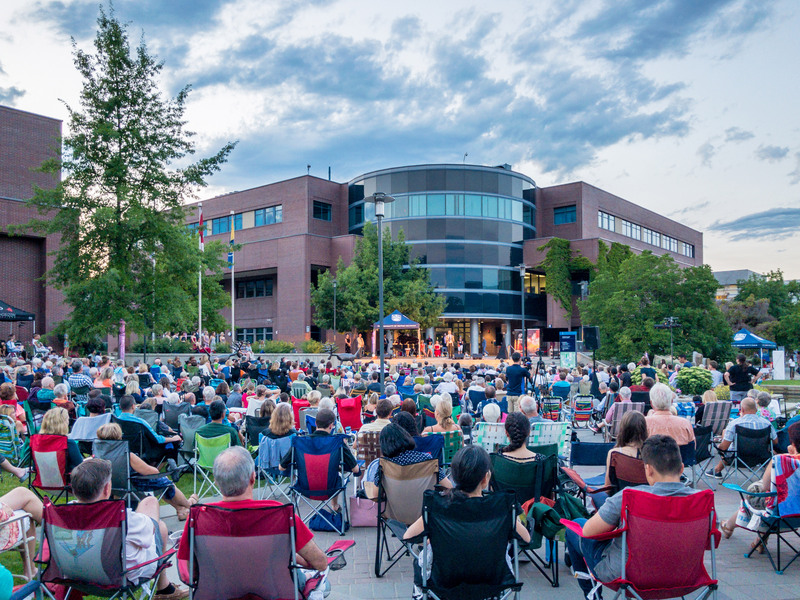 The event was part of Opera Kelowna’s 2018 free Summer Concert Series, which continues with two additional Opera in the Park performances on August 8 at Waterfront Park and August 12 at Heritage Park. To learn more about Opera Kelowna’s free Summer Concert Series, or get ticket information for the Aug. 16 to 19 mainstage performance ofCarmen, visit operakelowna.com.